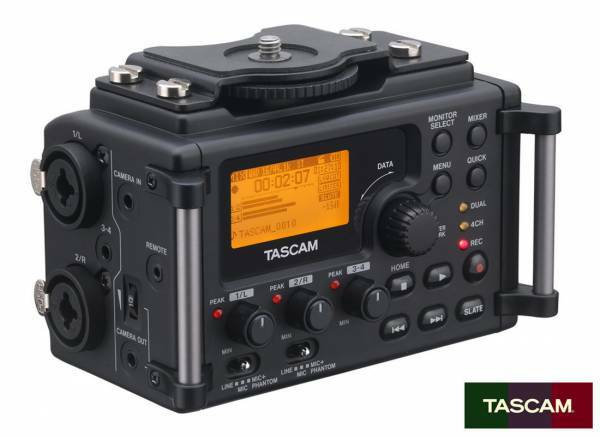 Informazione prodotto "Tascam Audio Recorder for Camera DR-60D"
The Tascam Audio Recorder for the Camera DR-60D is Tascam's award winning new audio recording solution for on-set filmmakers and videographers using DSLR's. For years, filmmakers have been trying different methods for recording audio, using bulky recorders designed for music and trying to transform the inferior audio technology built-into DSLR's. Now TASCAM has designed an answer that pros and amateurs alike have been waiting for. The Tascam Audio Recorder DR-60D is a brand new 4-track solid-state recorder utilizing TASCAM's decades of experience. 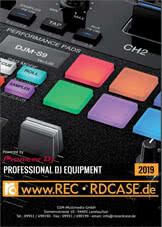 The recorder utilizes high-grade HDDA pre-amps, legendary AD converters and a durable, but lightweight structure and shape. This device will fit snuggly under any camera or into any rig and record up to 96 kHz/24-bit high quality audio straight to SD/SDHC media. Filmmakers have at their disposal two 1/4"-XLR Locking Combo MIC/LINE Inputs, 3.5mm Stereo MIC Input, Camera In, Camera Out, Line Out and Headphone Out. Both 1/4"-XLR Combo Inputs supply +48V Phantom Power and the 3.5mm Input supplies Plug-In Power for microphones requiring a bias voltage. The Tascam Audio Recorder DR-60D is incredibly easy to use, employing TASCAM's very popular user interface and external controls for every major operation. The body structure, soft-touch keys and dials are designed specifically to help eliminate handling noise. The multiple record modes include 4-Channel Record, Auto Record and TASCAM's Dual Record "Safety Track" Mode make the DR-60D one of the most versatile recorders on the market. Sii il primo a scrivere una recensione per: "Tascam Audio Recorder for Camera DR-60D"